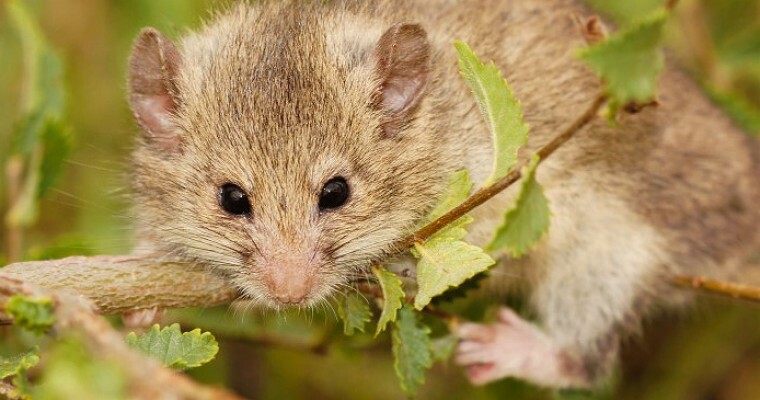 The Mouse-tailed dormouse is probably the rarest mammal in Europe. It only occurs on the border of Greece, Bulgaria, and Turkey. Actually, it is not certain if it still occurs in Greece and in Bulgaria only one animal was seen alive after 40 years without any sightings. It might be at the brim of extinction. As far as we know, it lives in open and semi-open habitats with a mosaic of old oaks, walnuts, and pears, close or in agricultural fields. Living in these small-scale agricultural lands makes him very vulnerable. Either the land is turned into intensive agricultural land leading to the removal of trees and bushes, or people leave the land to its fate (youth prefer life in towns instead) and bushes take over the agricultural land. In both cases, the habitat favoured by the Mouse-tailed dormouse disappears. Nedko Nedyalkov, a Bulgarian biologist, wants to learn more about the needs of the Mouse-tailed dormouse by placing nest boxes in its habitat in Bulgaria. The nest boxes will allow him to learn more about the habitat preferences of the Mouse-tailed dormouse and enable the collection of data on its biology and ecology (diet, activity, population Bulgarian biologists, and genetics, parasites). Currently, there is no funding for this work. Please help Nedko with a small donation. The money will be used to place 100 nest boxes in 3 new locations and to visit them twice per year (about 3000 km). Geef Dennis een vliegende start met jouw gulle gift! Help Dennis een handje mee en meld je aan als teamlid!